Cutting branch at the tree source growing 4K. 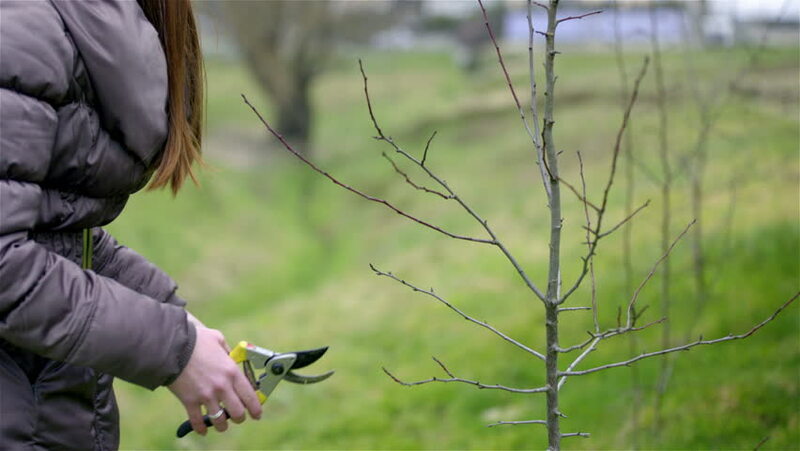 Person with scissors pruning young trees to grow better after not important branches removed. hd00:24Black bird on top of the tree branch peaking on something as it casually moves. hd00:18Brown goat eats the leaves on the trees in the garden.